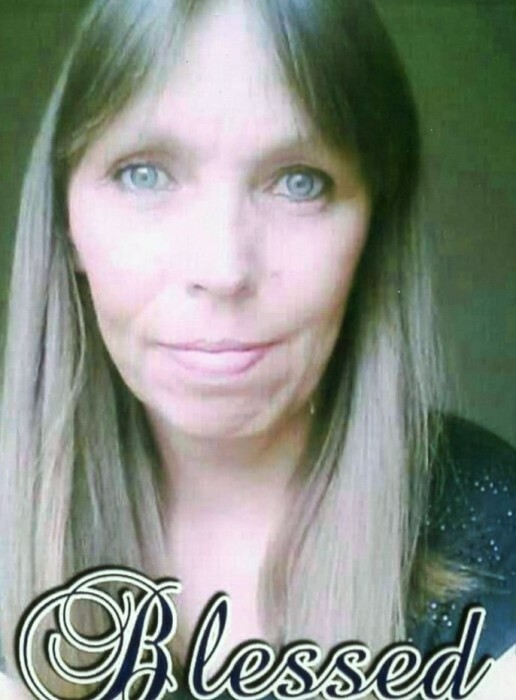 Marlyn Faye Wooten,53, Burlington, formally of Granite Falls, NC, peacefully went to be with the Lord on April 04, 2019. Marlyn was a loving wife to Mr. Timothy Allen Wooten for 29 great years and the daughter of the late Lawrence Elmore and Faye Ann Farthing. At a very young age Marlyn accepted the Lord as her savior at Harris Chapel Baptist Church of Hudson, NC. Marlyn truly loved crocheting and puzzles but most of all she treasured time spent with her family and friends. She is survived by her Husband Timothy Wooten, Stepmother Esther Farthing, two brothers Marty Farthing and Jackey Farthing, two sisters Kim Conner and Awanda Webb, six nieces and Nephews Amanda Cruz, Becky Maldonado, Matthew Farthing, Jessica Tucker, Brittney Wooten, and Heather Wooten, and many great nieces and nephews. A memorial service will be held on Monday April 15, 2019 at two O’clock at Triad Cremation and Funeral Service 2110 Veasley Street Greensboro, NC 27407.